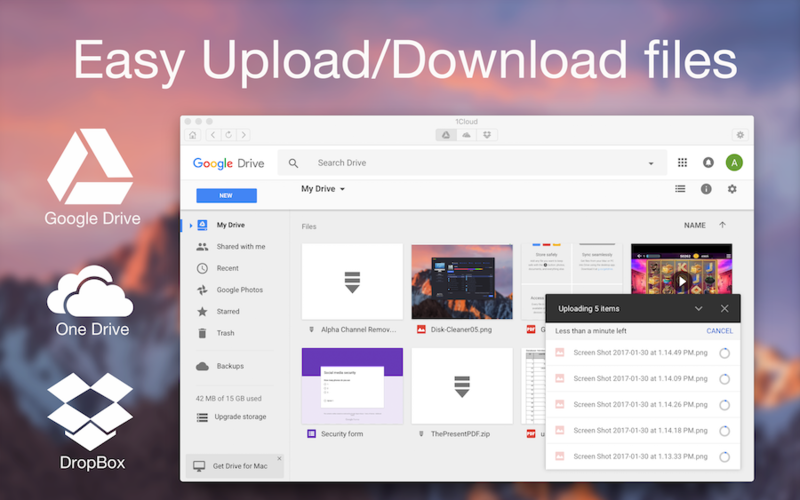 It is Simplest and Fastest Mac app with fully feature packed and lets you easily create, view, share files, Sheets, Slides, Drawings, Forms and much more without ever needing to open your web browser. 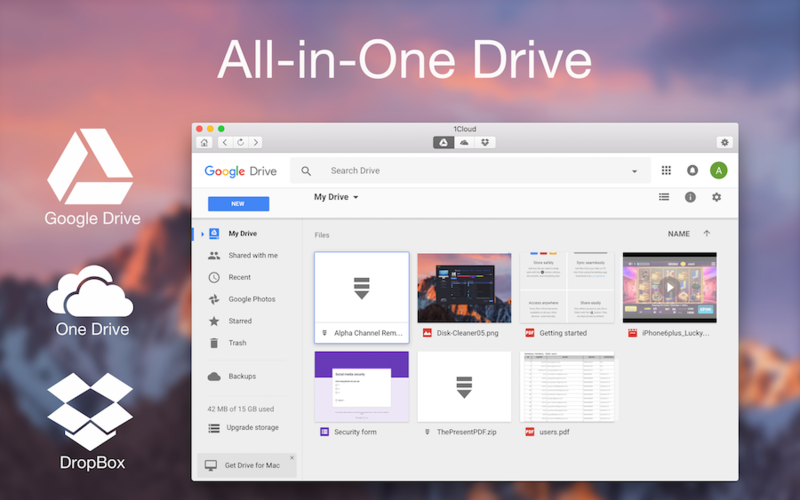 • Instant access to file in Google Drive, DropBox, One Drive. • Work on multiple Documents simultaneously. 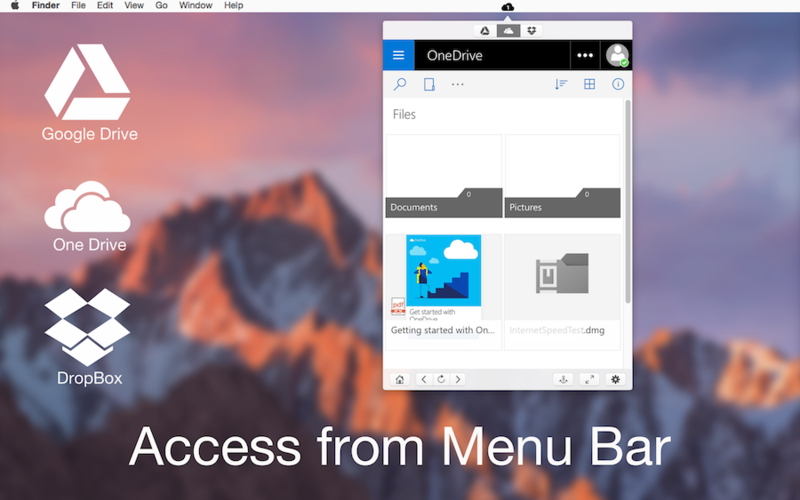 • Create, View, Share your Documents. • Download, upload, convert your documents. Note: An Internet Connection is needed to use 1Cloud. Offline mode not supported.